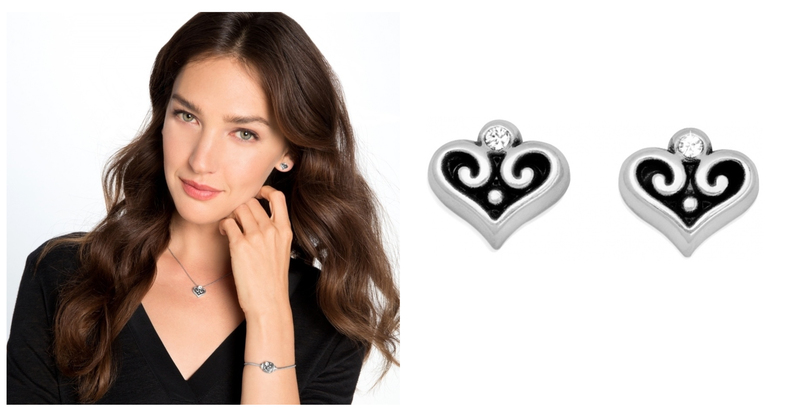 Find your Heart’s Desire at Versant! Looking for the perfect gift to put a smile on your sweetheart’s face? Luckily for you, our Valentine’s Day Gift Guide takes the trouble out of searching for the perfect gifts this holiday! We have hand-selected swoon-worthy gifts to match the many personalities we see come through Versant. Check out our selections- jump to the personality you are looking for using the links below, or browse through all of our Valentine’s Day picks! See something you like? 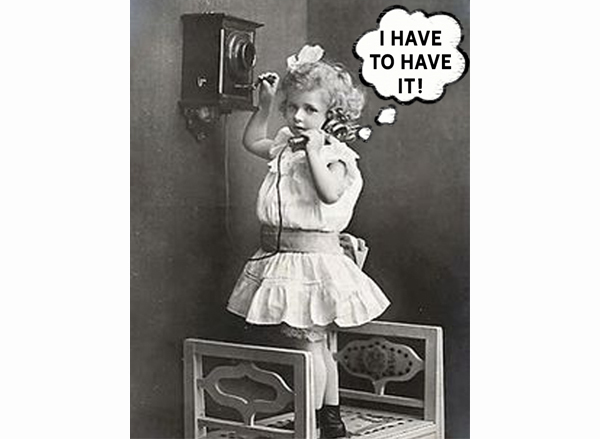 Give us a call at 610-691-2270 to have something reserved to pick up in store or shipped to you. The classic Valentine’s Day gift features hearts- and lots of them. 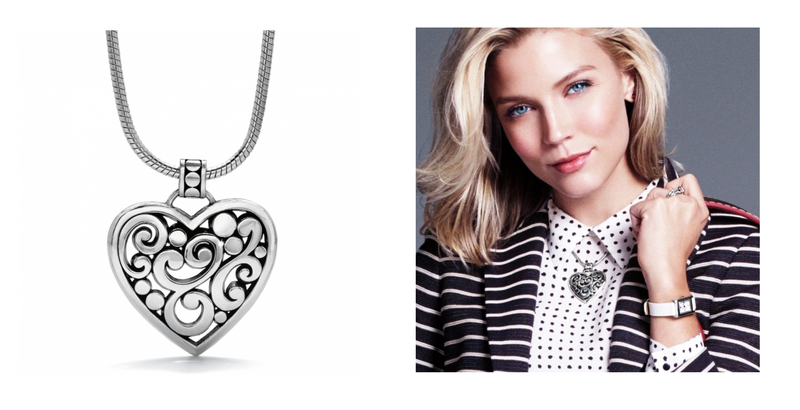 A symbol of love and affection, the heart design is the centerpiece of many Valentine’s Day collections. 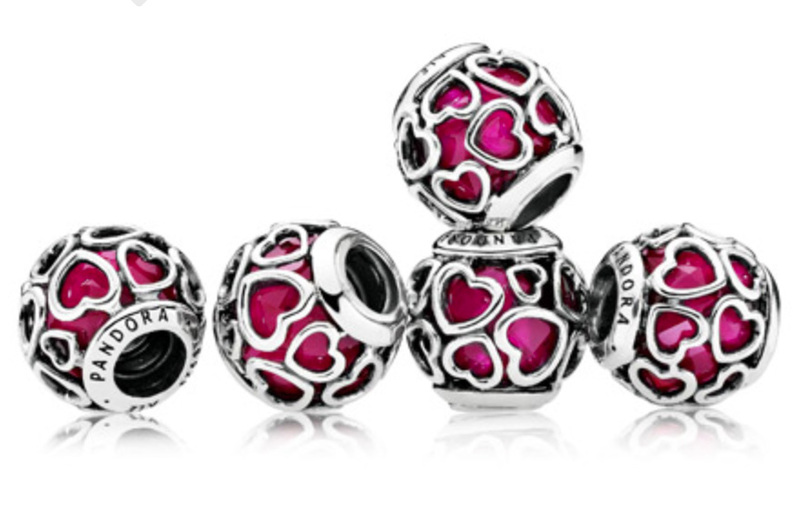 One of our favorite new Valentine’s Day collections this year comes from Pandora. The Limited Edition gift sets available for the holiday are always a special selection, and this year’s additions offer beautiful curated sets, a stunning presentation, and a great price. For those looking to start a Pandora bracelet or add a new bracelet to an existing collection, the Open Hearts bracelet gift set is a great gift idea. 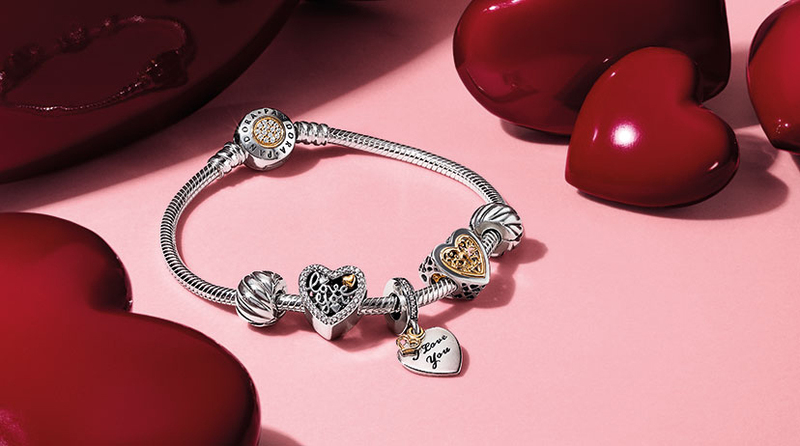 This set comes with a silver Pandora bracelet with sparkling heart clasp, two heart-adorned clips, and the new Encased in Love charm. The Encased in Love charm has a faceted cerise pink bead surrounded by an openwork silver heart motif- it is one of our favorite new charms! 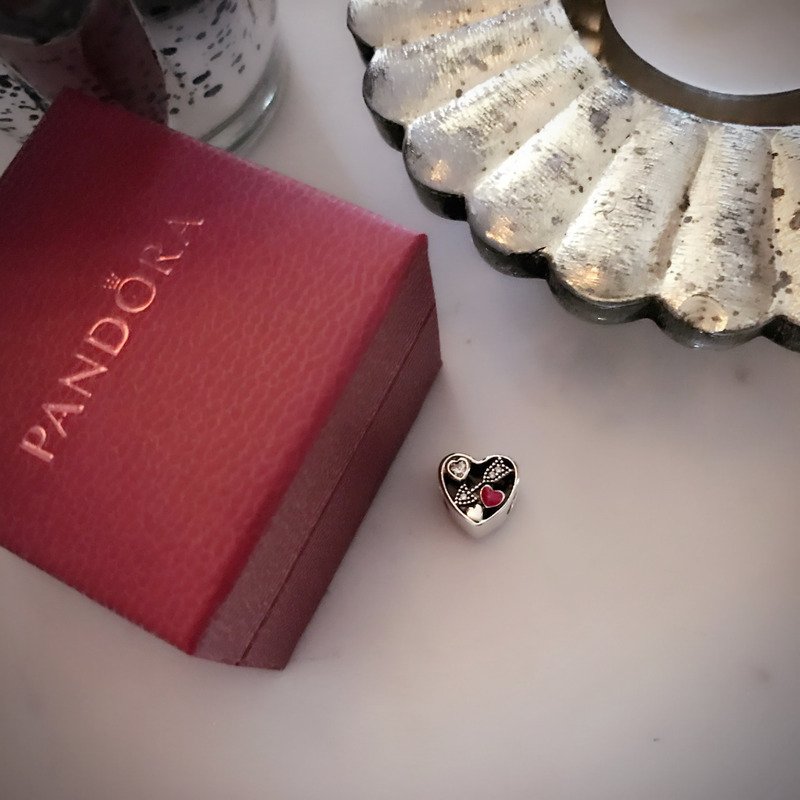 With its red leather heart-shaped Pandora travel case, this is truly a beautiful way to deliver a gorgeous gift. 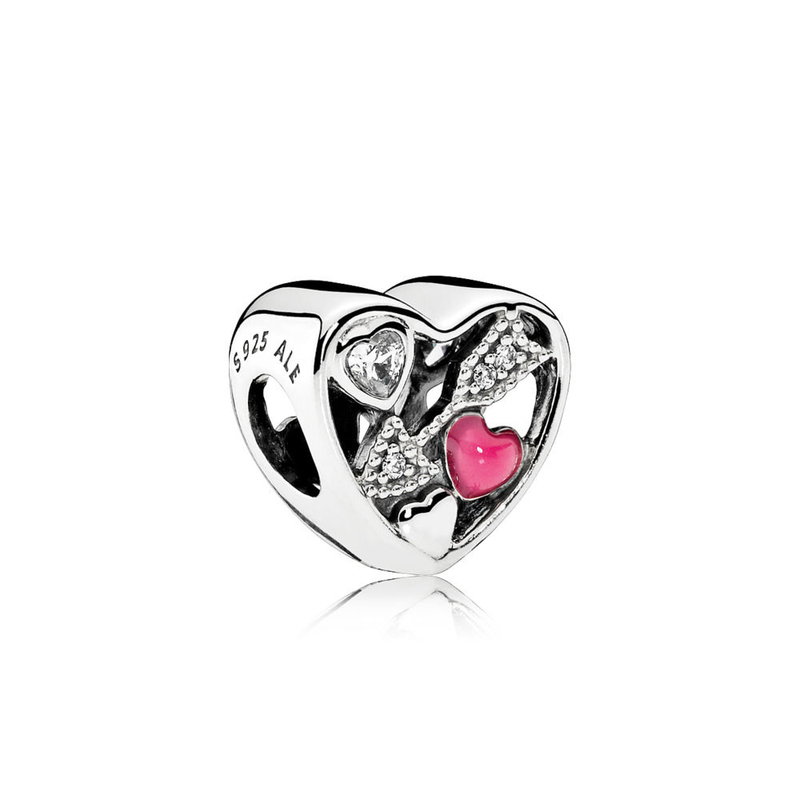 If you are looking to add a special charm to a growing Pandora collection, the Lovestruck charm is a great choice. Not only is it a limited edition selection that will only be available for a short time, but it has a great combination of bright enamel, lustrous silver, and a touch of sparkle. This charm is also presented in a red leather box, making it stand out from other selections. 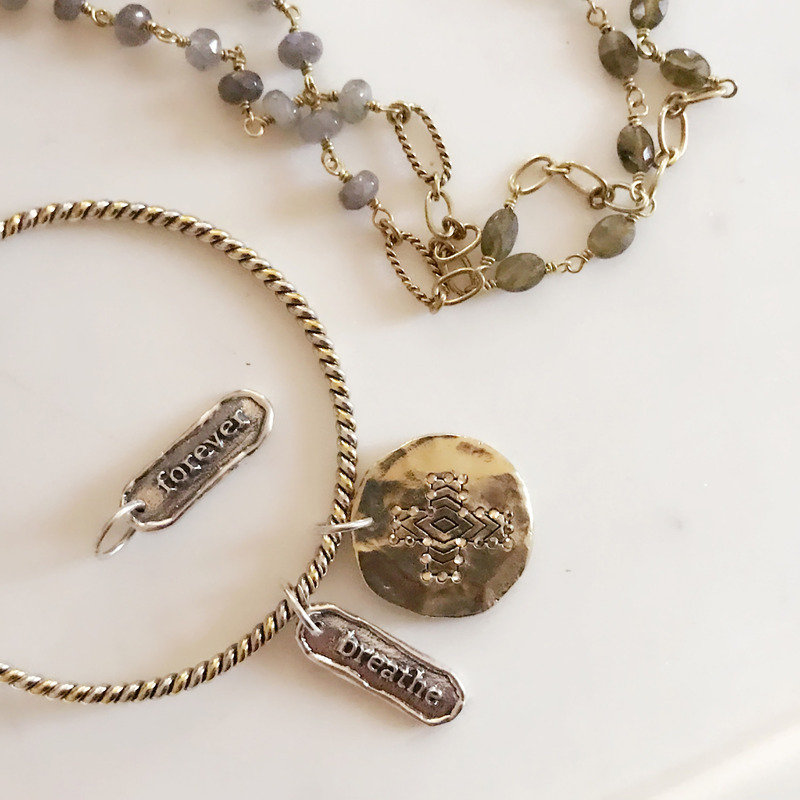 For those looking to warm up their Pandora collection with a little gold, the new Love You Forever and Love Script charms are must-haves. We love these new designs, which are accented with clear CZs and a touch of 14K gold. Really want to make a statement? Pair some two-tone charms with the new sparkling 14K clasp bracelet! Another brand that has a heavy focus on heart designs is Brighton Collectibles. The heart is represented as their signature logo. Just as love takes many forms, so do the hearts in Brighton’s collections. Some look like hand-crafted masterworks, some are lacy and modern, and still others are studded with Swarovski crystals. What makes buying Brighton even better at this time of year? Until February 10th, you get a free Sweetheart tote when you spend $100 or more! 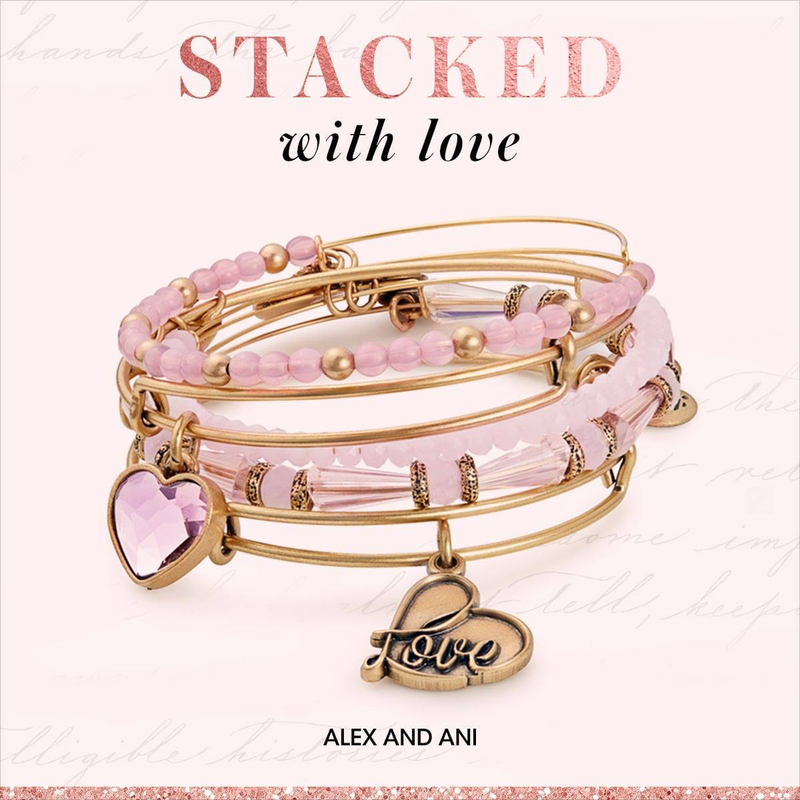 Alex and Ani has added an extensive new Valentine’s Day collection this year as well. We love the Alive with Love Gift Set to stun your sweetheart. This five bracelet set, available in the Rafaelian Silver and Rafaelian Gold finishes, includes three pink beaded bracelets, the newly designed Love bangle, and a crystal heart bangle only available for a limited time in this set! 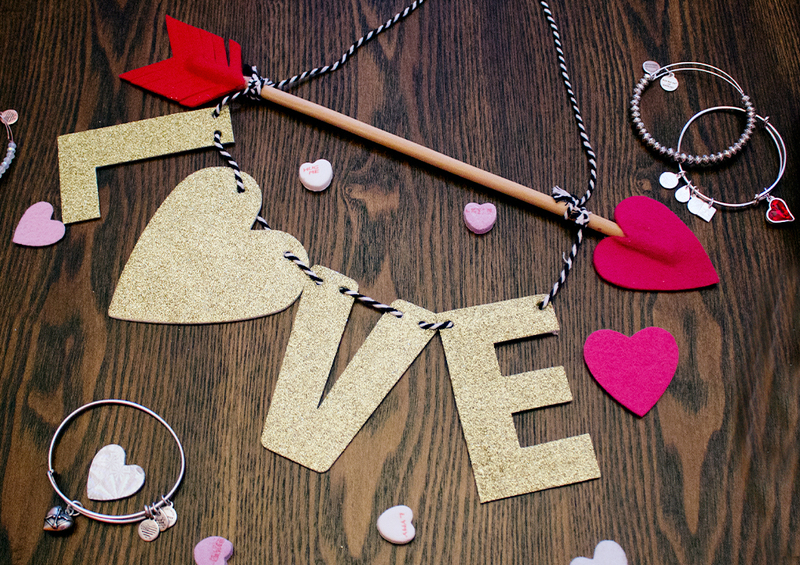 In the single bangle options, Alex and Ani has also redesigned the Cupid’s Heart bangle. This new design has a more three-dimensional feel and features cupid’s bow in the heart. The new Product(RED) Heart of Strength Charity By Design bangle is also a statement-making Valentine’s Day piece. Featuring a bold red crystal, this bangle provides 20% of the purchase price to the Global Fund to fight AIDS. Does your sweetheart love the Valentine’s Day season but doesn’t want to be showered with hearts? Rose gold is a great choice for a gift that catches the feeling of the season without being overtly Valentine’s Day themed. Not only is the soft pink tone romantic, but it has become the popular choice for everybody’s new favorite metal. For those just starting to collect rose gold pieces, we like pieces that combine a rose gold finish with silver and sparkling stones. Ti Sento Milano makes some beautiful rose gold accented pieces that use this trendy metal in a classic style, making them instant favorites. Freida Rothman Jewelry also features rose gold in some of their stacking bangles. 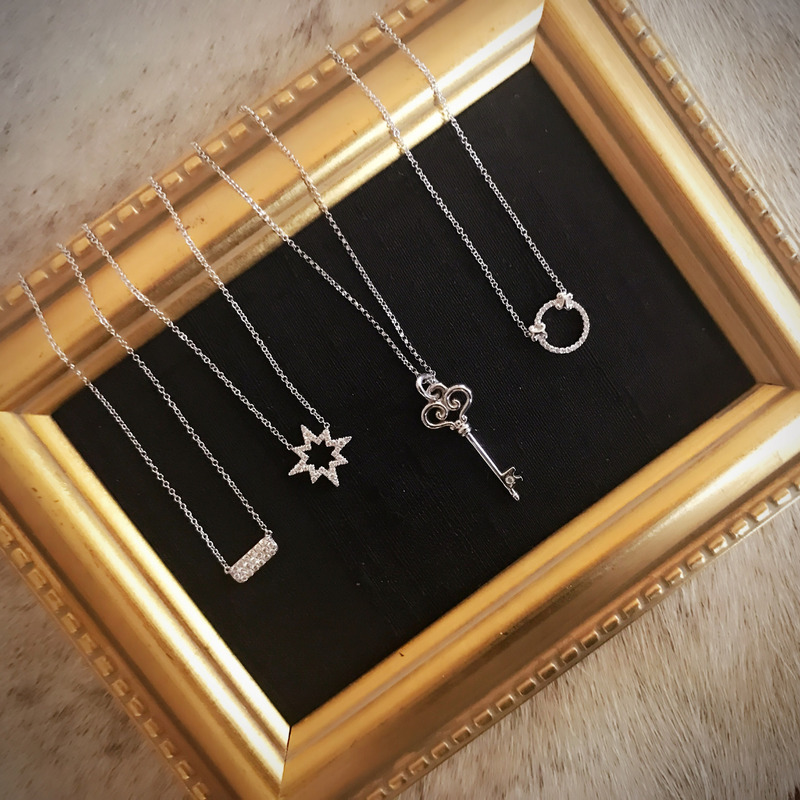 Set with sparkling CZs, these pieces look great paired with some of her sterling and oxidized sterling bangles. For a more delicate look that still packs some serious sparkle, Officina Bernardi has a lot of rose-gold finished pieces. With their patented cut, this sterling silver jewelry reflects light like it is studded with stones. They offer a wide range of necklace lengths, making them ideal for layering. Officina Bernardi’s elegant sparkling bracelets that look gorgeous by themselves or stacked for some added drama. 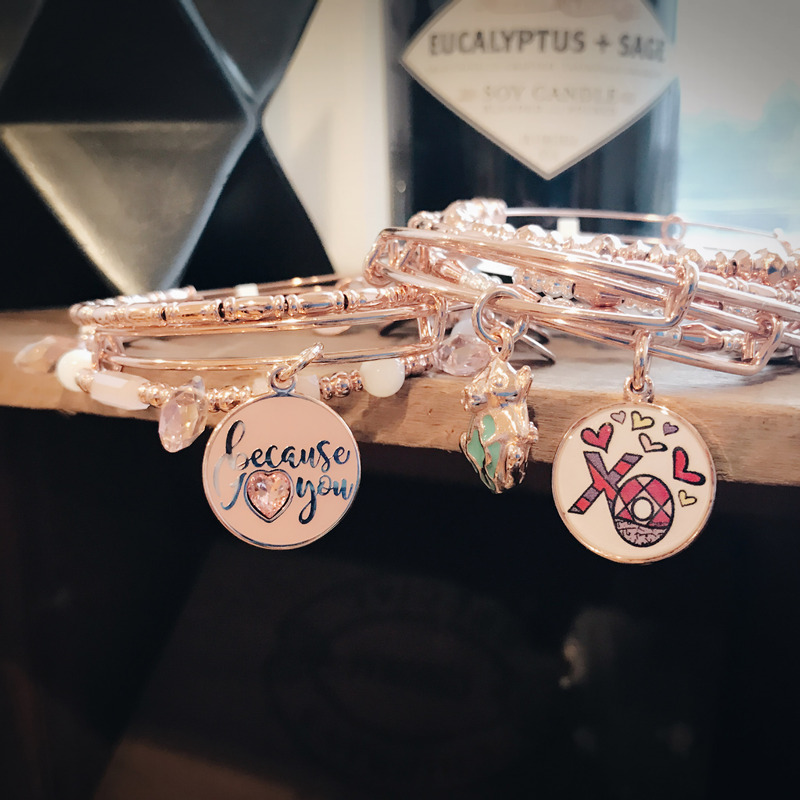 If your sweetheart is an Alex and Ani enthusiast, there is a lot to be excited about on the rose gold front with this year’s Valentine’s Day collection. The stand-out piece in our minds is the Because I Love You set of three in the shiny rose gold finish. Alex and Ani has also released some Limited Edition single bangles as part of this collection. We love the sweet Frog Prince and Romero Britto XO Bangle in the shiny rose finish. Pair them with one of the Limited Edition shiny rose finish beaded bangles for a set that is sure to stun! Valentine’s Day may have the reputation of being flashy and full of grand gestures, but the celebration of love is often appreciating the moments spent together as a couple and as a family. A great way to commemorate these moments are pieces that symbolize family bonds and the many positive things that she brings to the world. 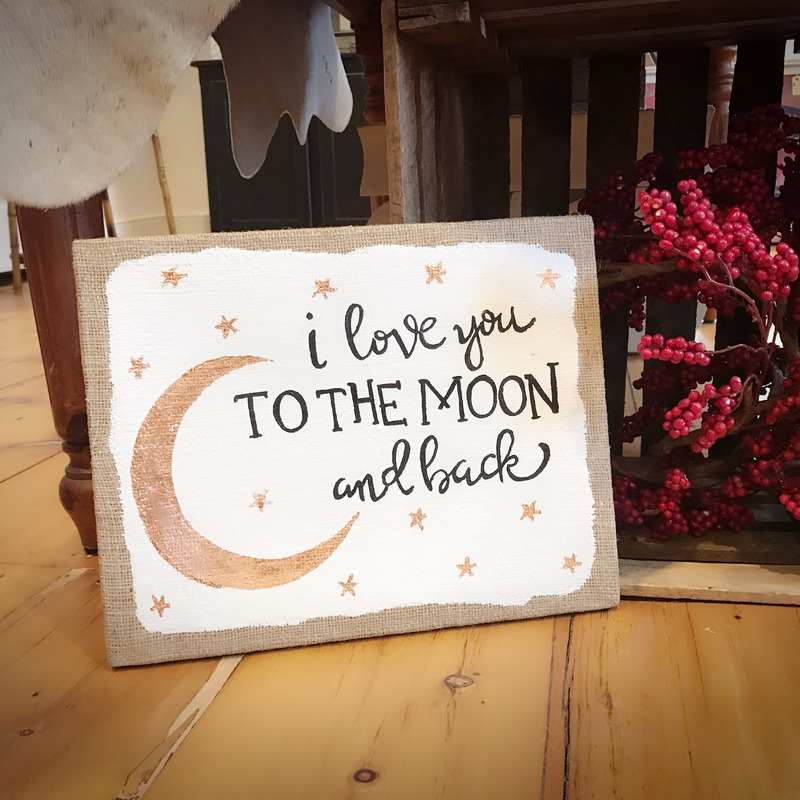 Waxing Poetic charms are a great way to personalize a jewelry gift with sentiments, symbols representing children or other loved ones, and other inspirations. The newly released 2017 charms include some meaningful new virtues in the Word Play collection. The new Aim True arrow is also a great choice for Valentine’s Day. 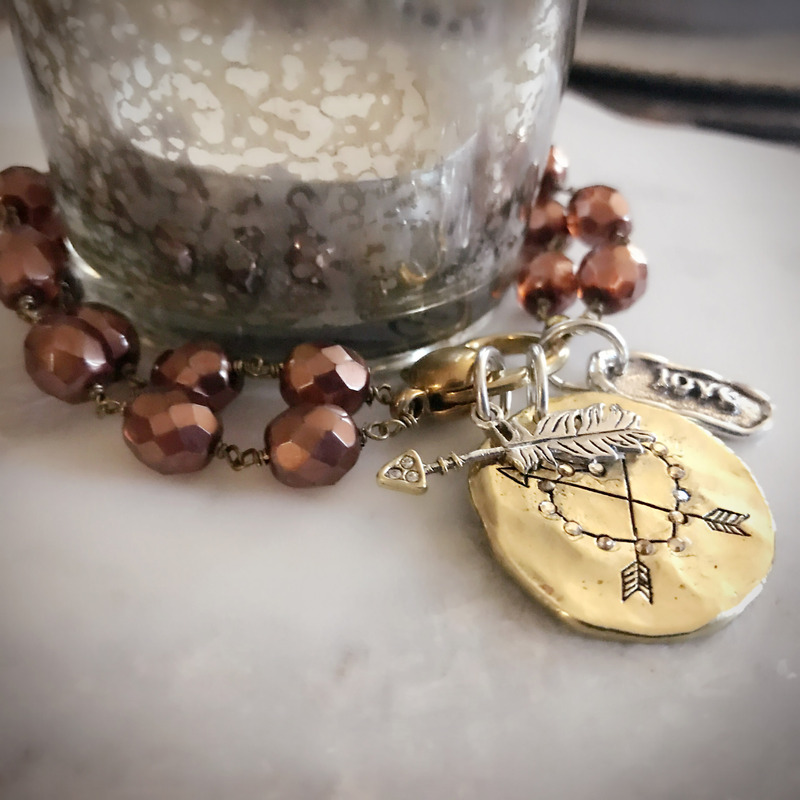 Whether it symbolizes cupid’s arrow or other ambitions, this charm is meant to inspire you to aim high, far, dear, and true. 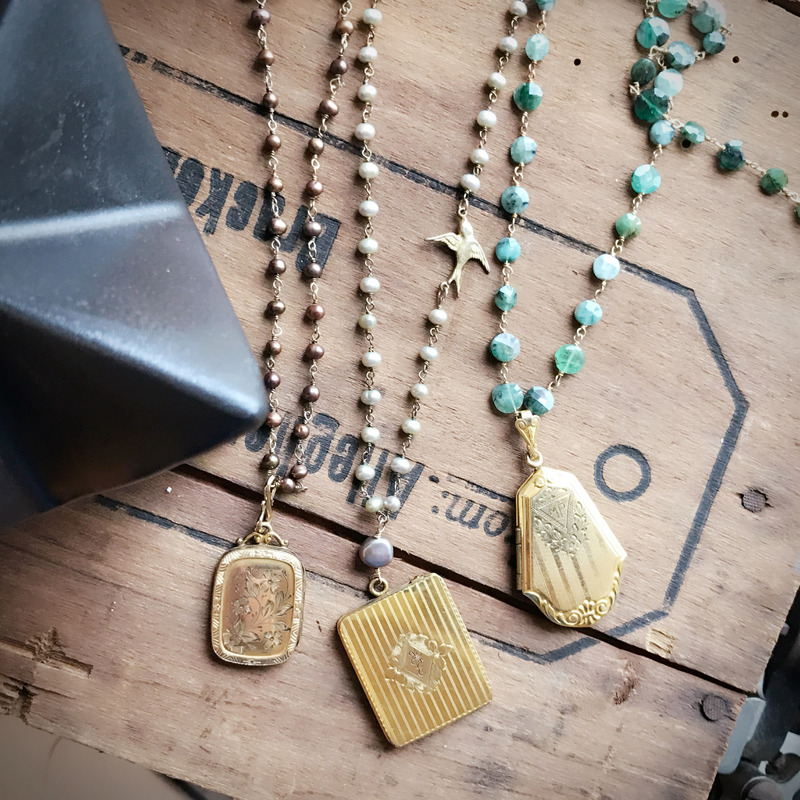 With a versatile selection of sizes, metals, and styles, Waxing Poetic makes it easy to create a one-of-a-kind piece that captures the heart of a person. We like using different sized medallions with some three dimensional shapes to add variety. 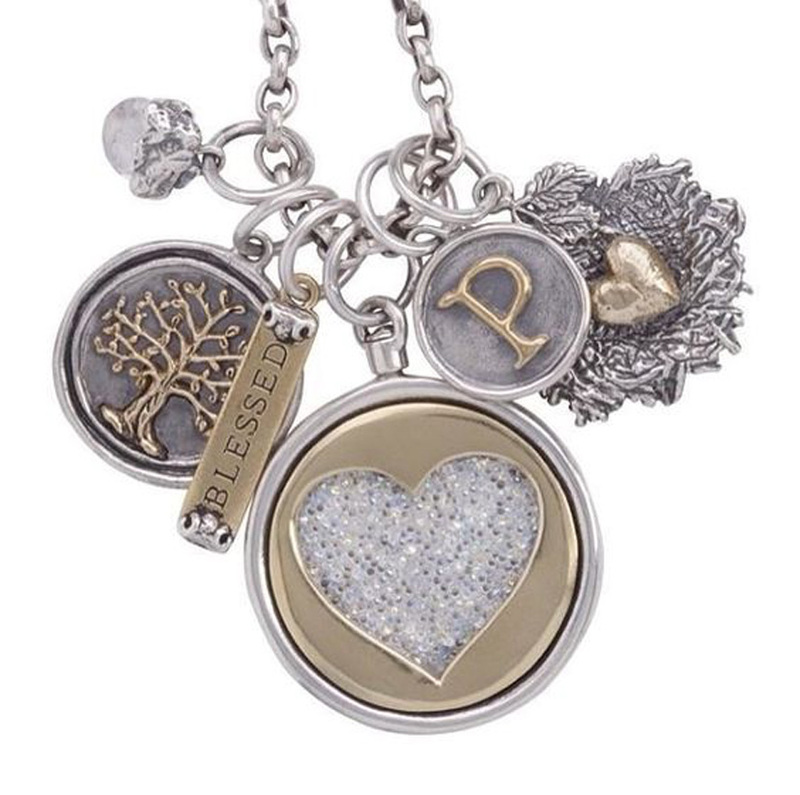 Mix initials, birthstones, and an inspirational sentiment to curate a heartfelt collection! Another way to celebrate what makes the person you love unique is the Pandora Essence collection. Unlike the traditional Pandora charms, which celebrate the moments of one’s life, the Essence collection celebrates various virtues within a person. With virtues such as dedication, generosity and passion, this is a great way to honor the things you love about her. 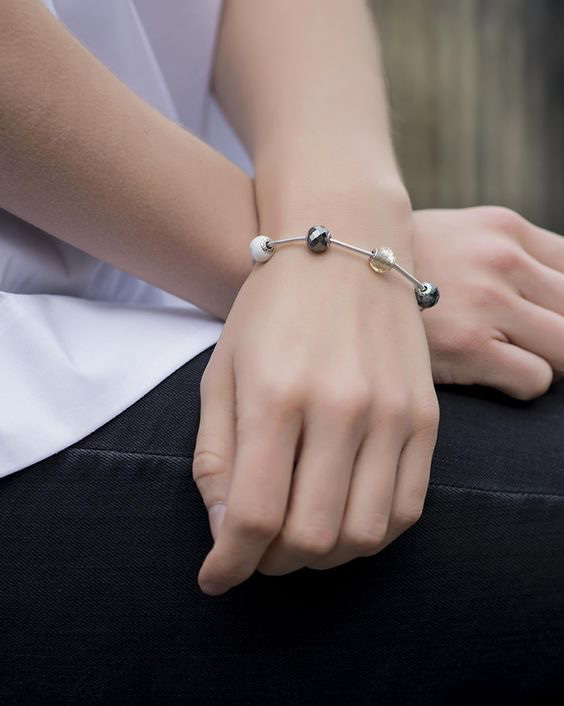 These beads will stay in place on the Essence bracelet and resemble natural stones and sparkling beads, making it look less like a traditional charm bracelet. 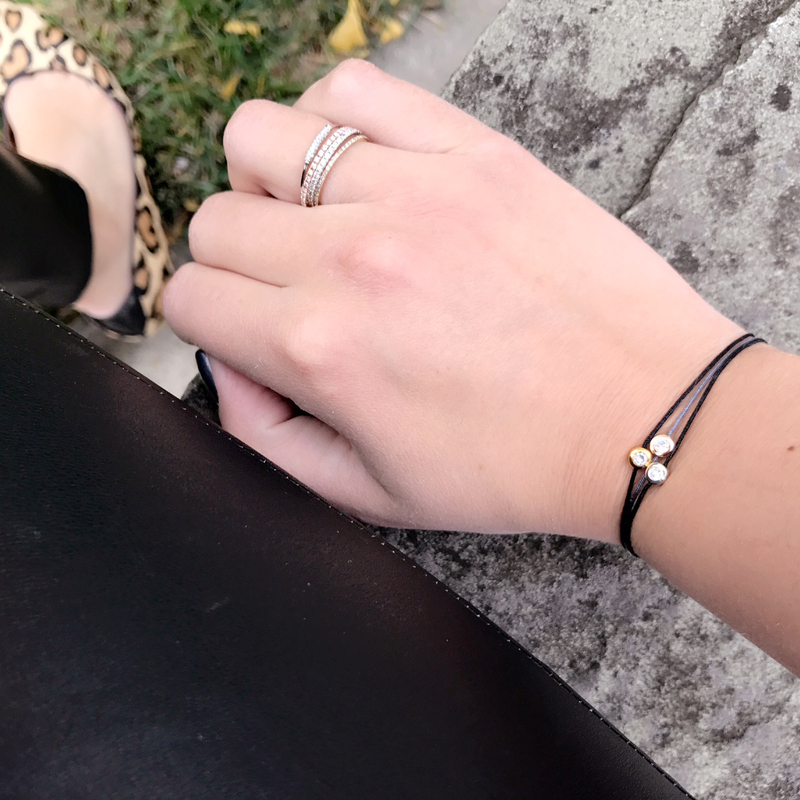 In addition to the flexible sterling bracelet, the Essence collection offers a thin wire bangle (great for stacking!) and a silver necklace. We think 45cm necklace looks elegant as a delicate statement with a single charm. A set of silver charms with additional interchangeable charms for a pop of color is also a great option that offers her some versatility! Another way to pay tribute to your personal love story is to honor the place where you have shared important moments. 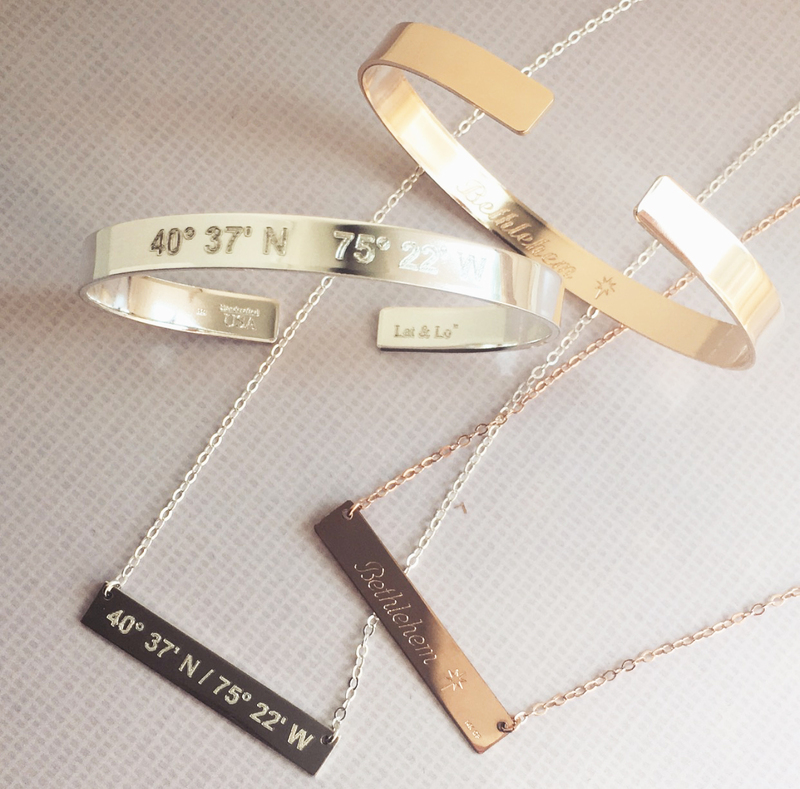 For those local to Bethlehem, we love the latitude and longitude cuff bracelets and bar necklaces we have had custom made for us from Lat & Lo. The pieces have the coordinates of our hometown with the Star of Bethlehem inscribed with our city name on the back. Want to bring that special into your home? 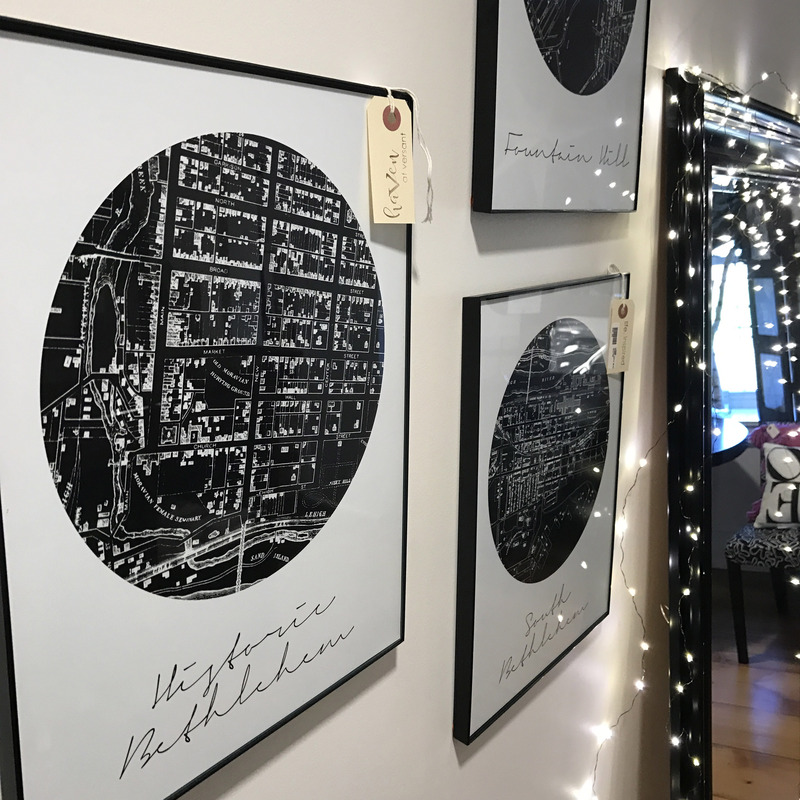 Check out our exclusive local map prints! 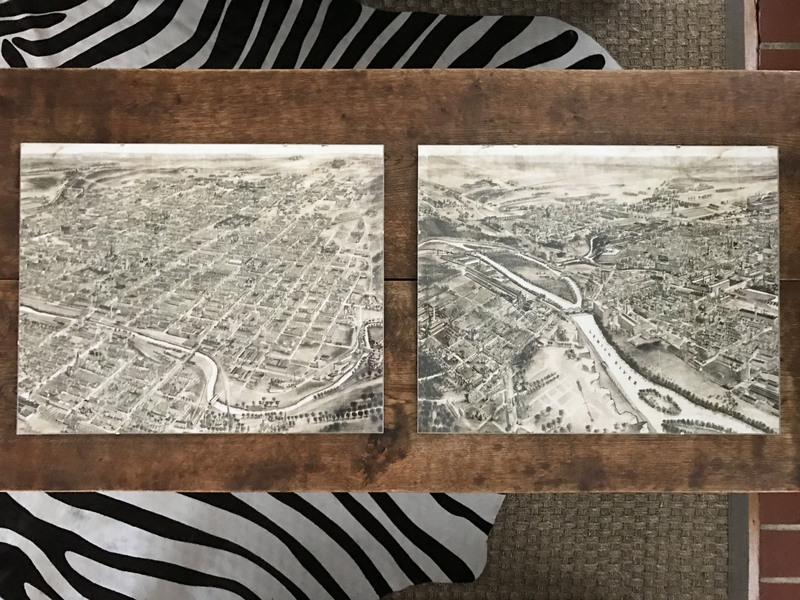 Available framed or unframed, these are also a great statement when you showcase two places side-by-side to show how your two histories combined to make the family that you are today. You can’t go wrong with the classics. 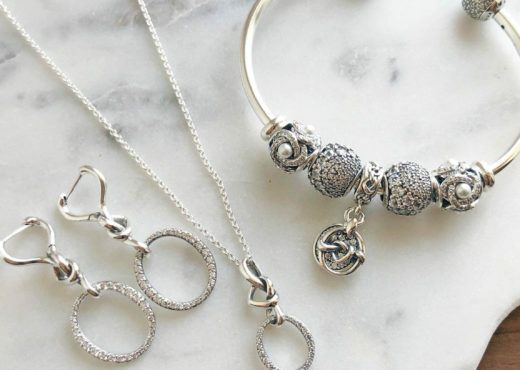 With clean lines and a touch of sparkle, these pieces will never go out of style. For the lady who wants a signature item that can be worn on any occasion, a classic piece is a great investment. 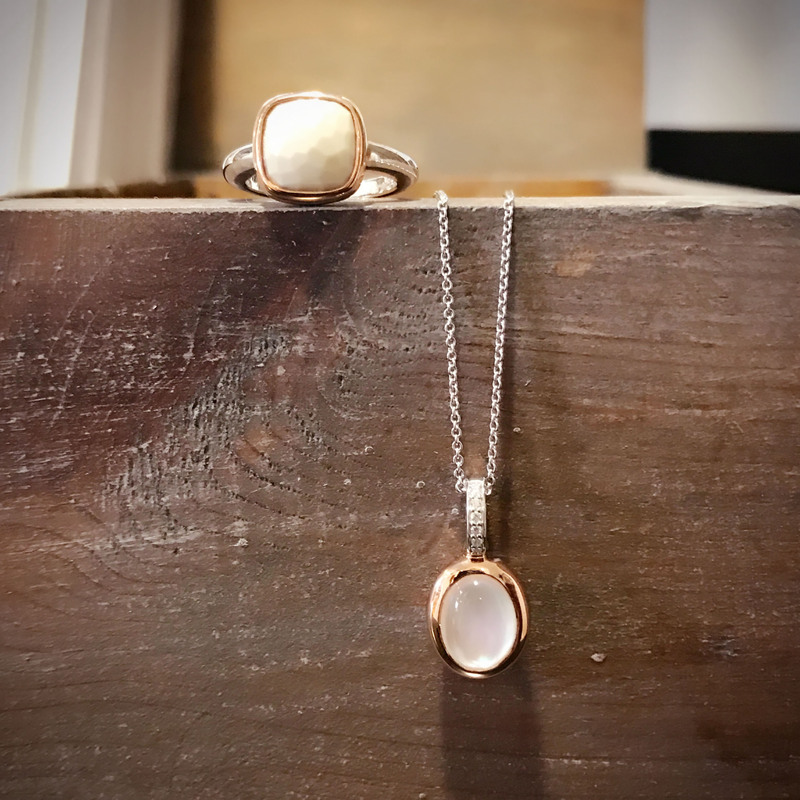 One of our favorite jewelry makers that offer a classic look is Gabriel and Company. Known best for their fine jewelry and stunning engagement rings, their sterling silver fashion line brings the same attention to detail and quality. 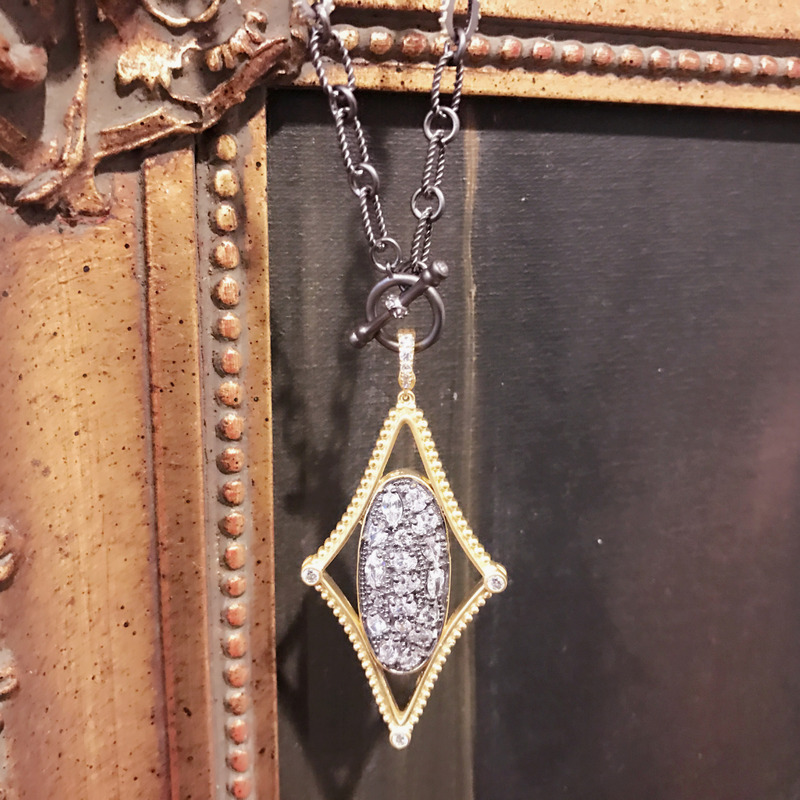 Accented with natural stones and small diamonds, these pieces can be worn with a sweater and jeans or dressed up with a little black dress. 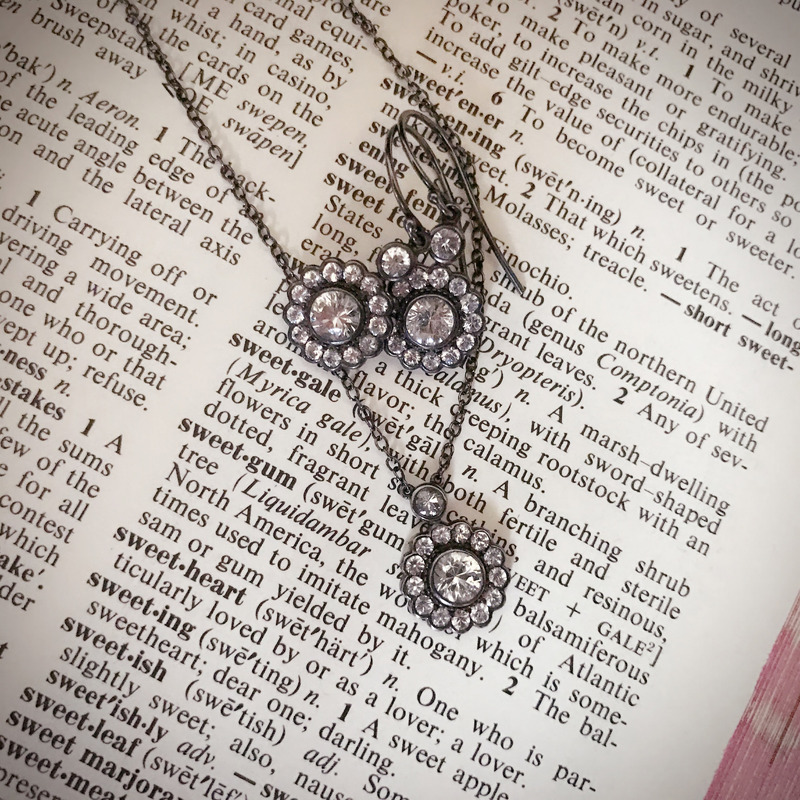 For those looking for something original and meaningful to wear every day, we love POP Diamond Jewelry. This 0.10 carat diamond on a colored cord gives a touch of luxury to our everyday lives. Inspired by protective eye bracelets, POP stands for Power of Protection. In many cultures, a cord is worn on the wrist after being earned through charitable deeds. 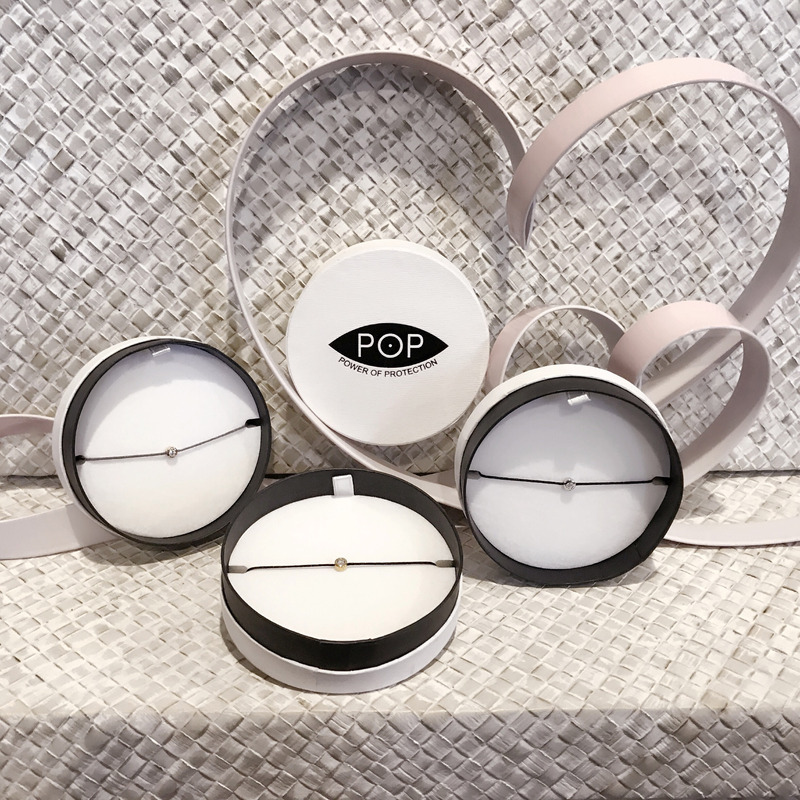 Keeping with this tradition, POP donates a portion of proceeds from the sale of their bracelet to charitable causes. Looking good and doing good at the same time- it doesn’t get better than that! Our last pick for the traditional girl is a tried and true Valentine’s Day classic- a piece of fine jewelry! If you are looking for a true classic piece of jewelry, gold and white gold jewelry set with gemstones present a gift that will last through a lifetime. For the girl who is loyal to a few pieces of jewelry instead of changing with the many trends, a good piece of jewelry is a great investment. Unlike sterling silver, which is a soft metal not durable enough for daily wear through many years, gold jewelry will become an heirloom piece because it is made to last. 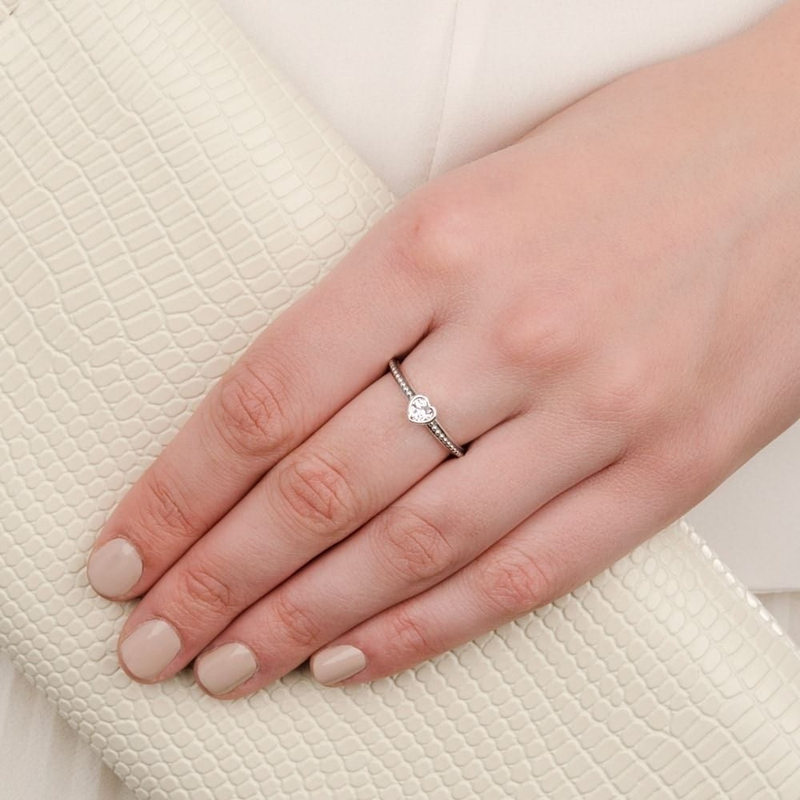 When choosing a fine jewelry piece, we love simple styles with a touch of sparkle. 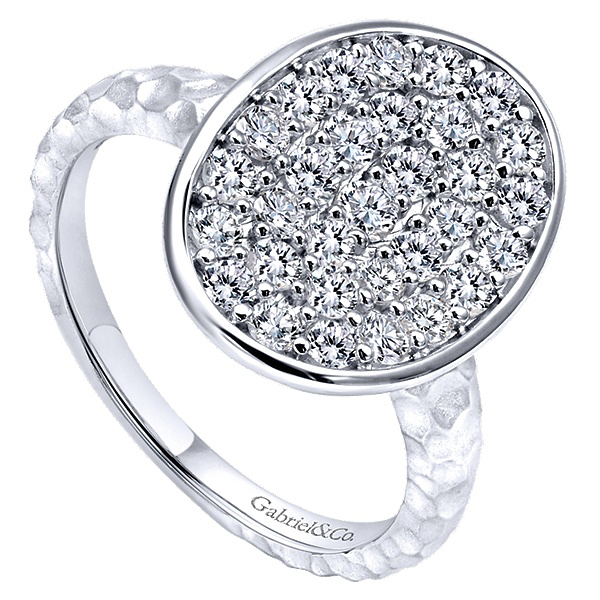 A tried and true shape, such as a starburst or a circle, and clear stones will remain classics and survive the changing fashions. Are you looking for a gift for the girl who lives for a good love story? Does she sigh at the sight of hearts and get teary-eyed when thinking about the movie The Notebook? It’s time to turn up the romance! An iconic symbol of romance is the city of Paris. 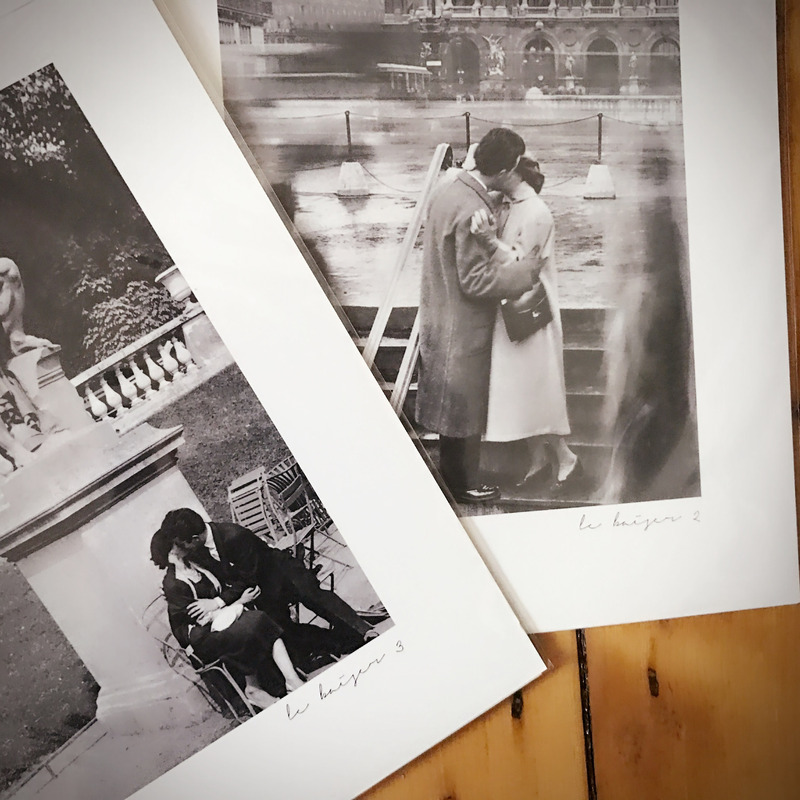 Bring the City of Love home with our vintage French photos. Le Baiser, or “The Kiss”, reminds us of an old black and white romantic movie. Another great romantic find is our WinterLemon jewelry. Locally handmade, they have some gorgeous pieces that use natural stones, pearls, and vintage pieces. 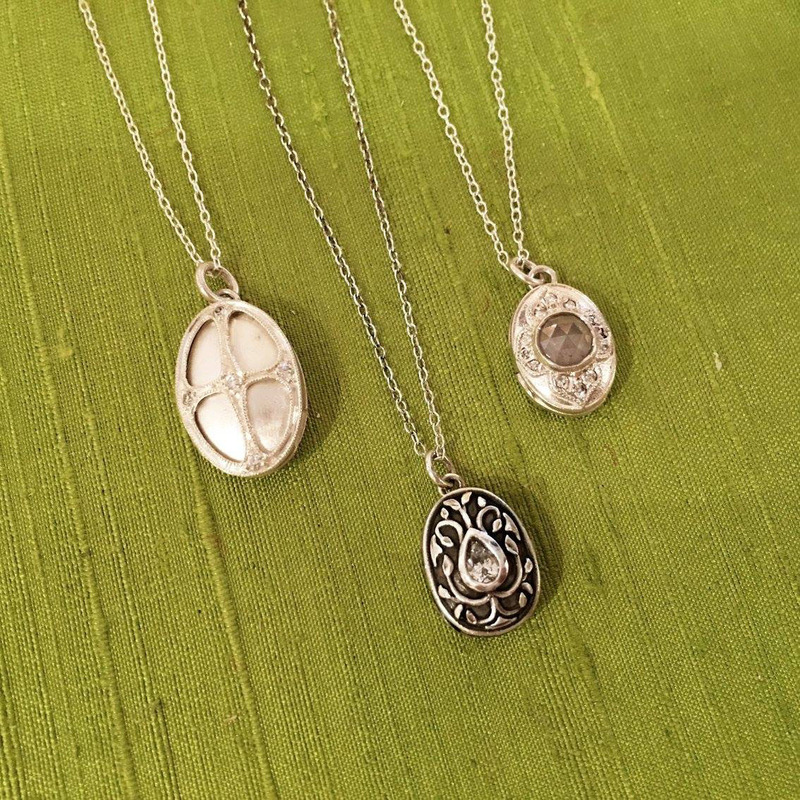 We love these necklaces that feature antique lockets- they are truly one-of-a-kind! For a more delicate look, Ila and I lockets also evoke a sense of romance. 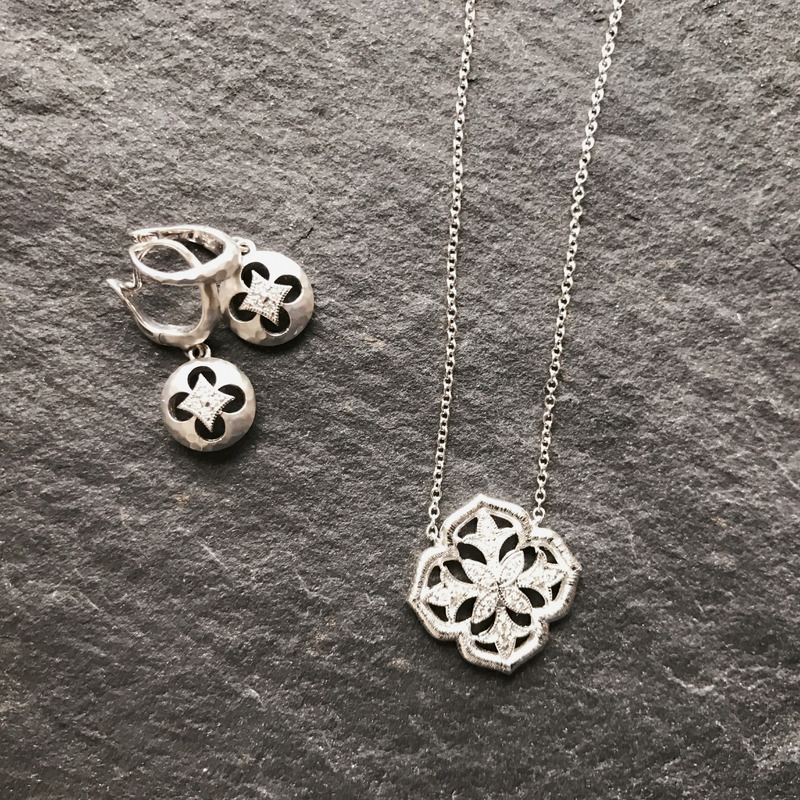 These petite white gold pieces are perfect to keep safe precious memories. Their antique styling and elegant profile make them great bridal gifts as well! The trendsetter likes to be on the cutting edge of fashion and loves a piece that stands out from the rest of the crowd. This means thinking outside the box when it comes to traditional textures, metals, and styles to find something unique. 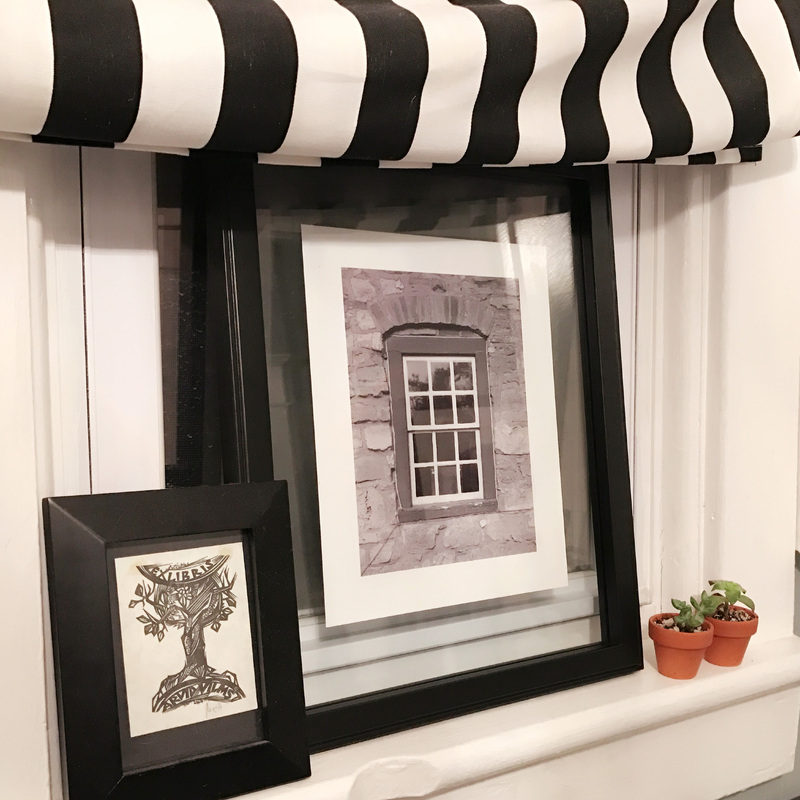 We think Julie Vos is a great start for a trendsetter who wants to push the edges of classic but doesn’t want to commit to a piece that might go quickly out of style. Julie Vos jewelry is finished with 24K gold over for a bright, warm finish that is more exciting than a traditional silver. Their innovative use of natural stones and inspiration from nature and classical architecture make them stand out in a crowd. We love the Milano 6-stone bangles stacked with different stones- grab a few neutrals then add a pop of color! 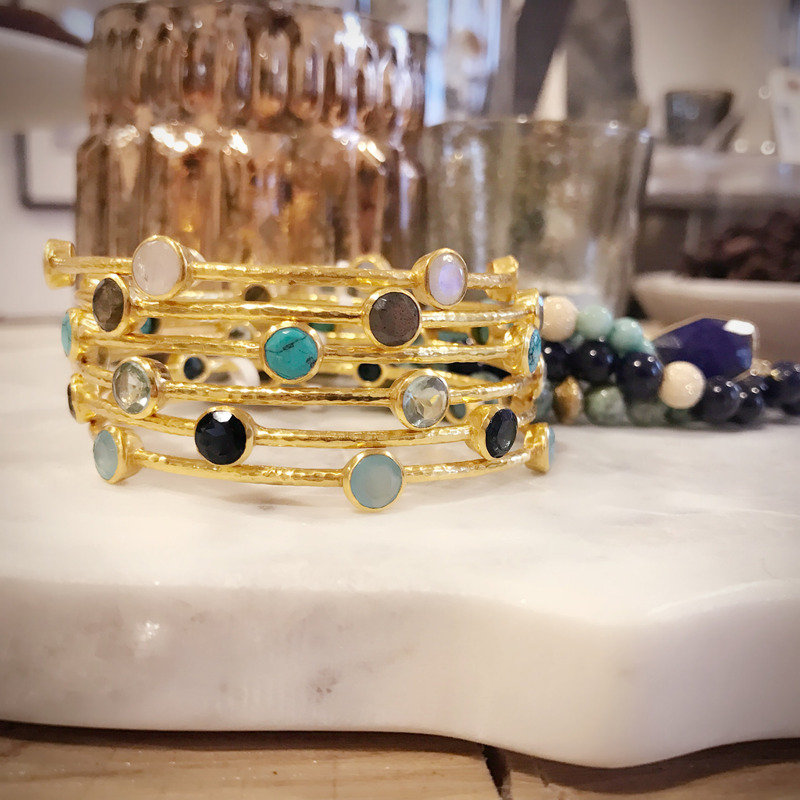 These bangles also look great stacked with some of the thin textured gold bangles or a wider piece accented with similar stones. 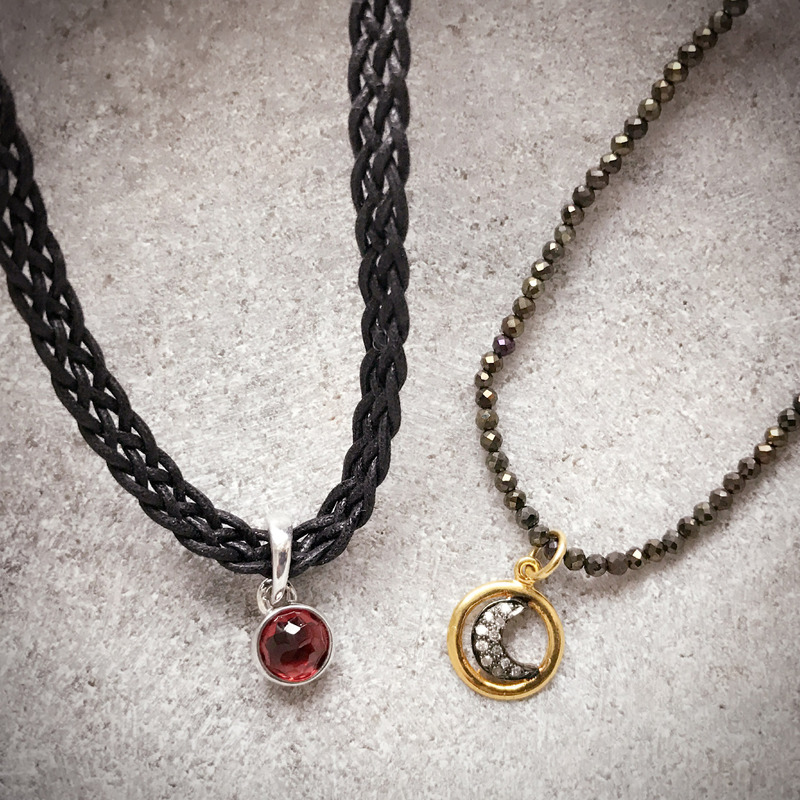 Julie Vos’ long, layering necklaces have been heavily featured in the fashion blogs, especially the Coin Pendant. 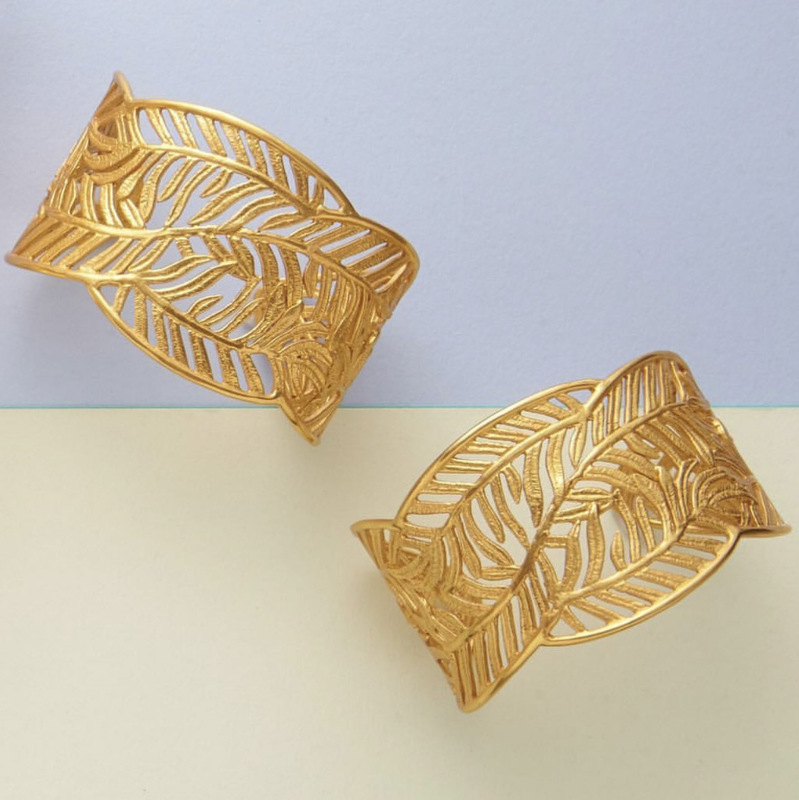 For a statement piece, we are head over heals for the new Fern Cuff. Inspired by natural motifs, this piece has beautiful detailing. The openwork design gives this larger cuff a lighter feel, keeping it from looking too heavy. Another fun fashion line for the trendsetter is Freida Rothman Jewelry. 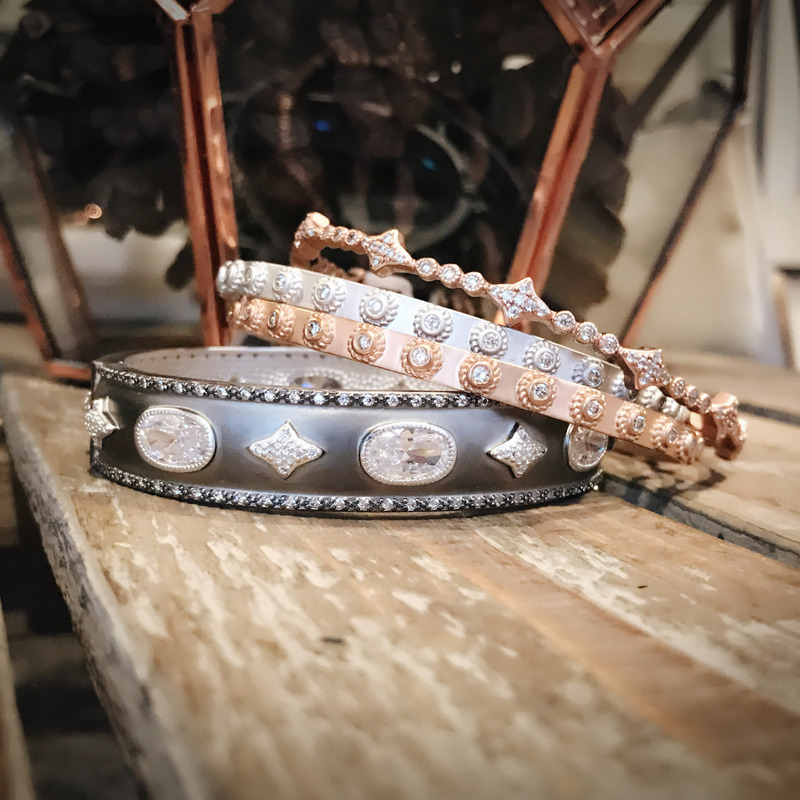 Freida Rothman uses metal and textures in an innovative way to make pieces with a metropolitan feel. 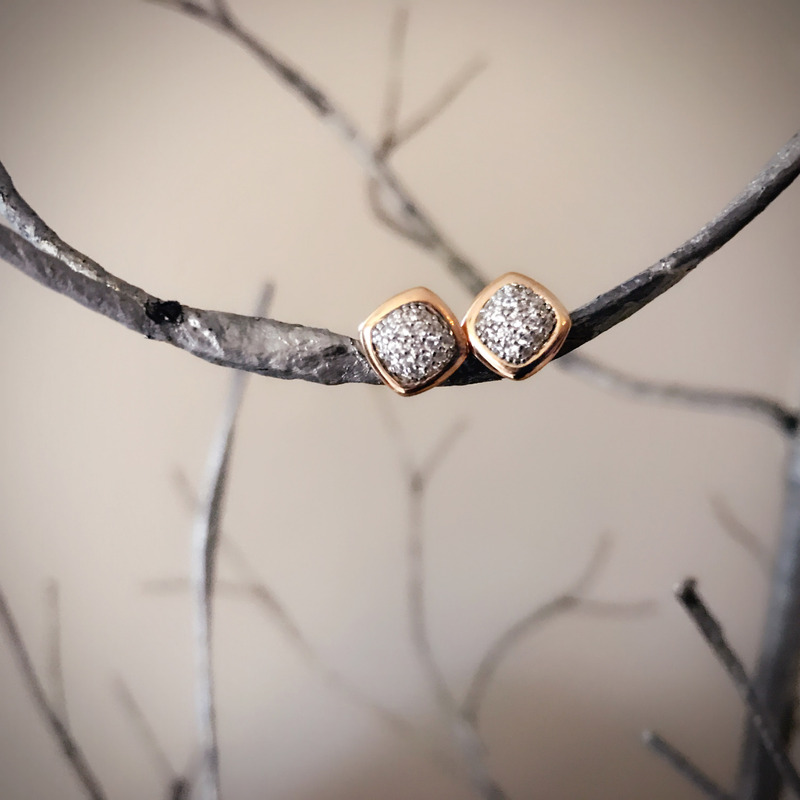 We love the way her use of oxidized silver makes the sparkling stones stand out! 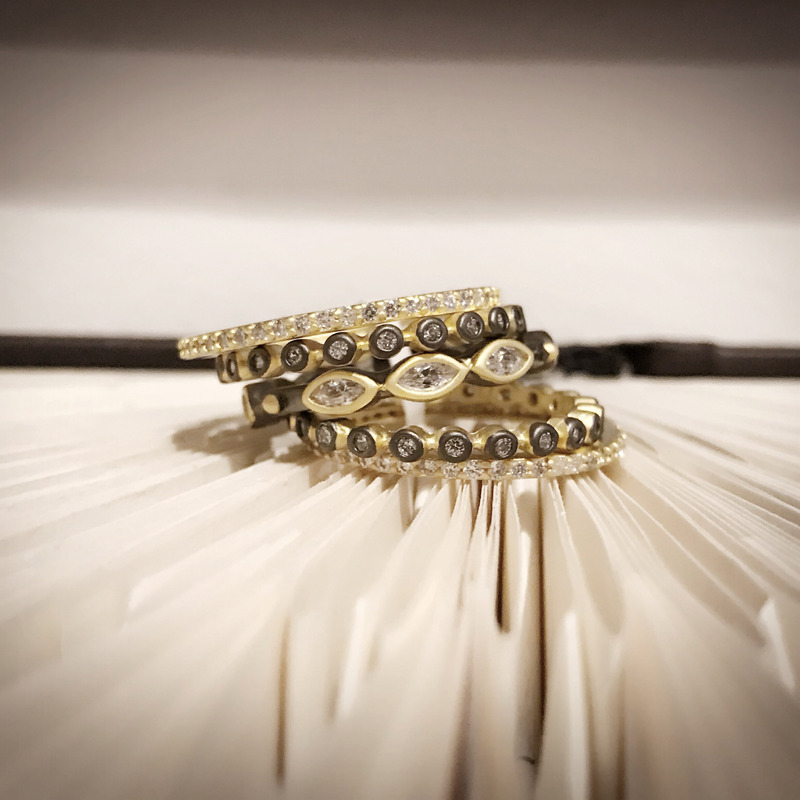 This set of stacking rings is one of our favorite pieces from her line- wear them all together for a statement, or separate them for days when you want a more delicate look. The Contemporary Deco line within Freida Rothman is a great way for the silver lover to get a more edgy piece. Using a matte sterling silver accented with darker oxidized silver, these pieces are light and bright but still have a unique quality. For the trendsetter that is really looking for a head turning piece, Freida’s Rose D’Or collection is a statement-making find. 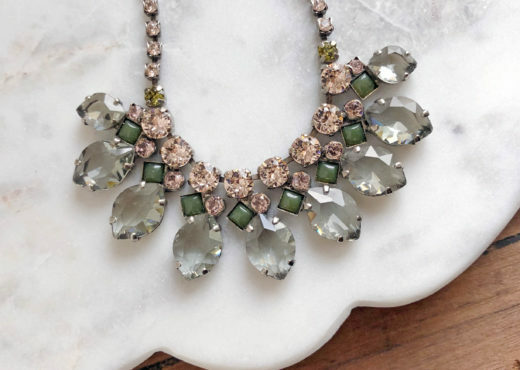 With a crushed stone look, these pieces play with sparkle in a non-traditional way. 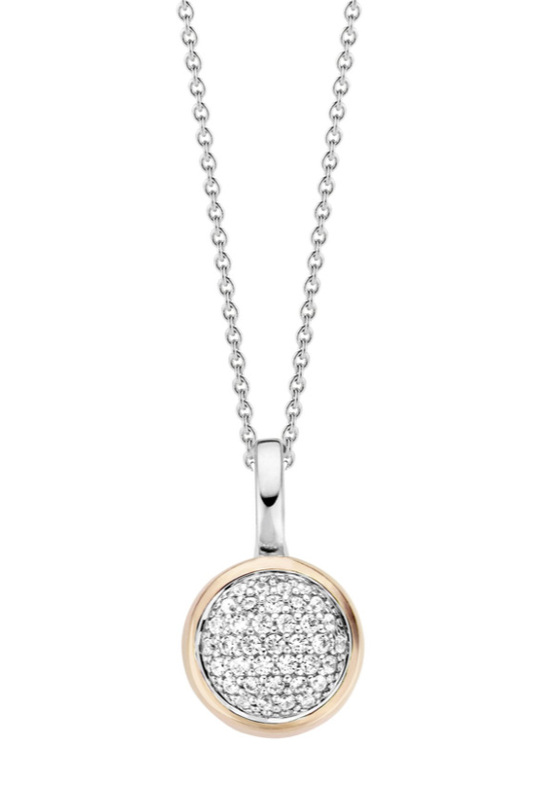 We love the Radiance Medallion! Our last choice for the trendsetter is the hottest fad on the necklace front right now- chokers! A lot of our favorite jewelry lines have come out with a choker option, the result of which is a lot of fun and different looks available. The Paris Bracelet offers a great choker made from couture stretch ribbon, making it easily adjustable and comfortable to wear. Both Pandora and WinterLemon also have beautiful choker options. 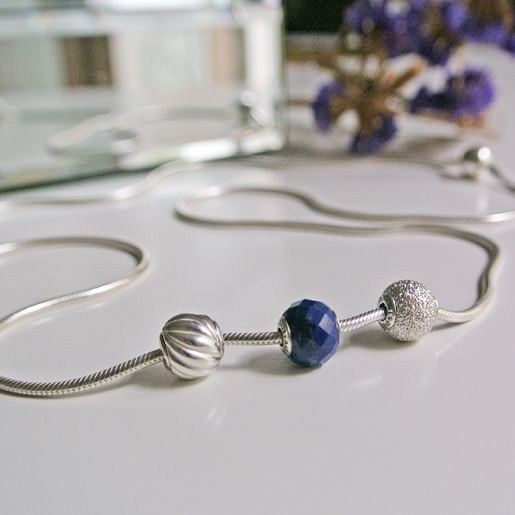 Pandora’s woven fabric choker can be worn by itself or with 1-5 charms. 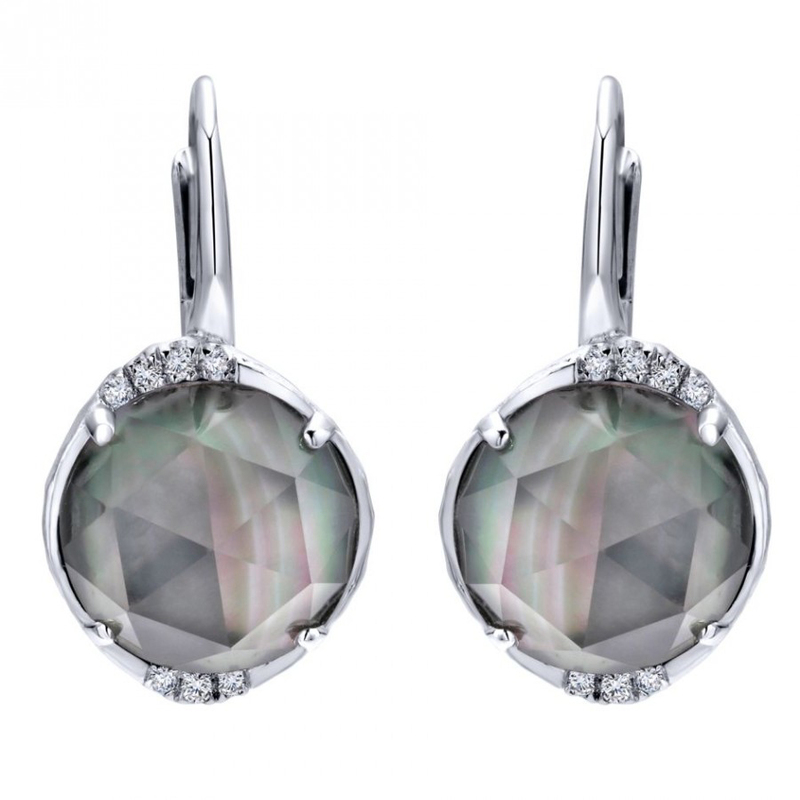 We love the look of accenting it with a single delicate pendant- the new birthstones are a great choice! 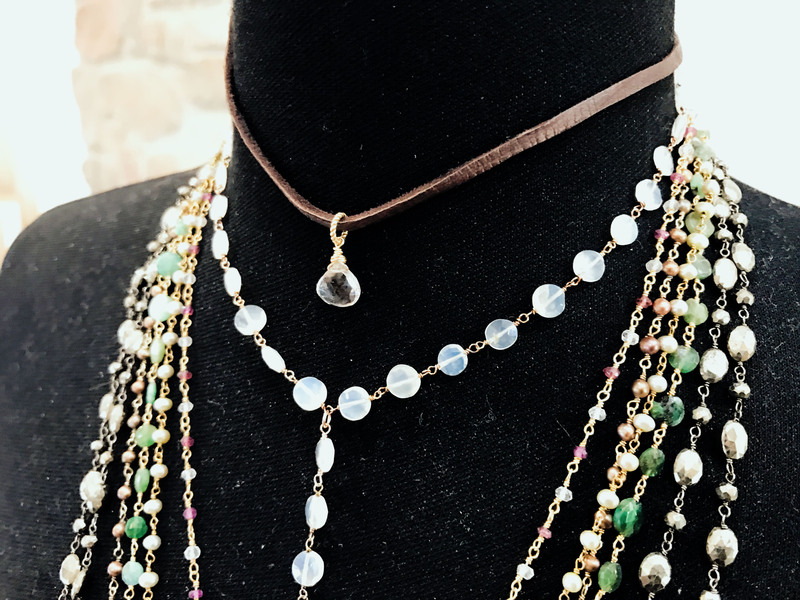 Our WinterLemon chokers range from classic, with natural stones and diamond accented pendants, to the on-trend with freshwater pearls, leather, and lariats. Valentine’s Day isn’t just for sweethearts! 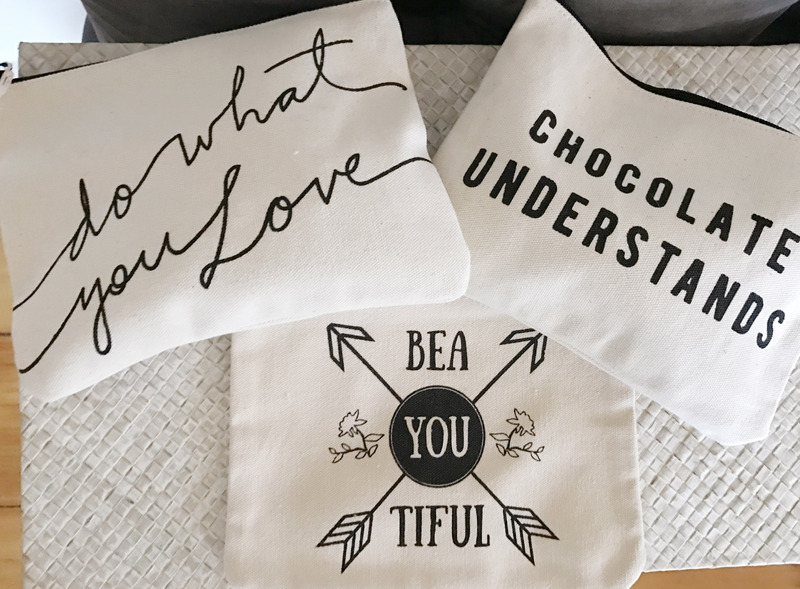 We have a lot of sweet options to help moms and dads spoil the younger crowd and show them that the love of family is just as important as romantic love. Our upstairs home and lifestyle boutique, Haven, has some great gifts for younger girls. 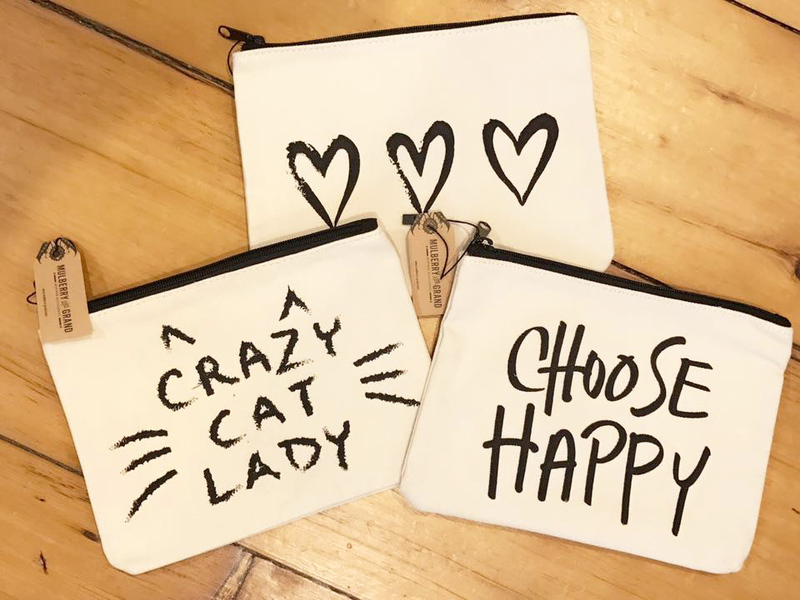 We love these witty pouches as a sweet gift to tell a young girl that you are thinking about her on Valentine’s Day. With sayings that affirm that who she is and what she does is beautiful, they are a great gift for any girl. 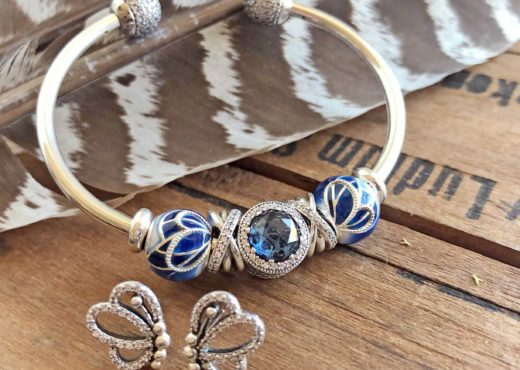 Another fun gift for a younger girl is Alex and Ani’s updated Kindred Cord collection. These cord bracelets are a little more delicate than the traditional collection, which makes them great for smaller wrists. 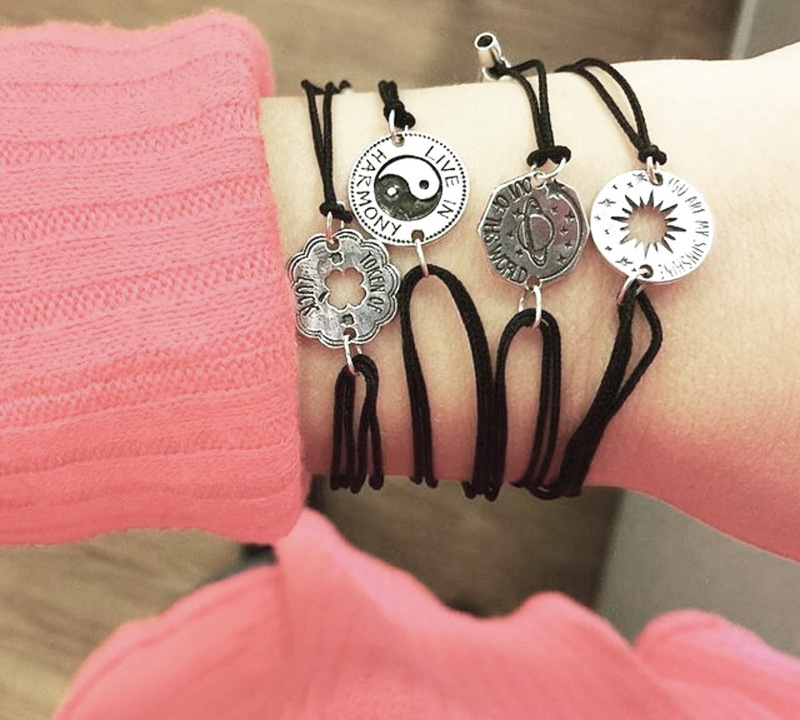 Adjustable through the use of the black cord, they feature fun tokens and heartfelt symbols in sterling silver. For the teen girl, Pandora rings are all the rage. These sweet sterling silver rings have a lot of options for Valentine’s Day. Their Forever Love and One Love rings feature small hearts and are equally cute worn by themselves or stacked. 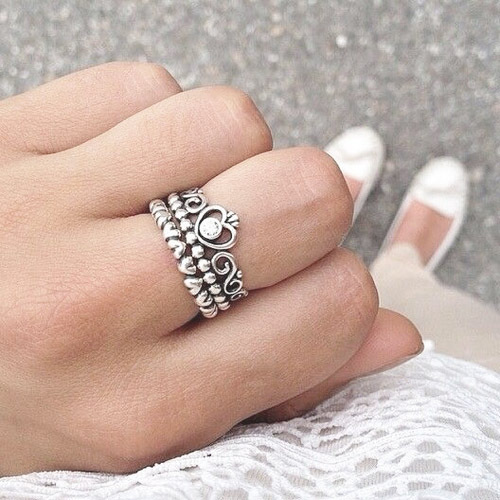 The My Princess and Heart’s Tiara rings have been very popular with young girls. We love them as a sweet gift from a dad to his princess! Thank you for taking a look at our gift guide- we hope you found what you are looking for (and some things you didn’t even know you wanted!) Interested in any of items that you saw? Give us a call at 610-691-2270 to have us reserve something for you. We can also take phone orders and ship nationwide- shipping is free for orders over $50! New Waxing Poetic Winter 2017 Collection Arrives!